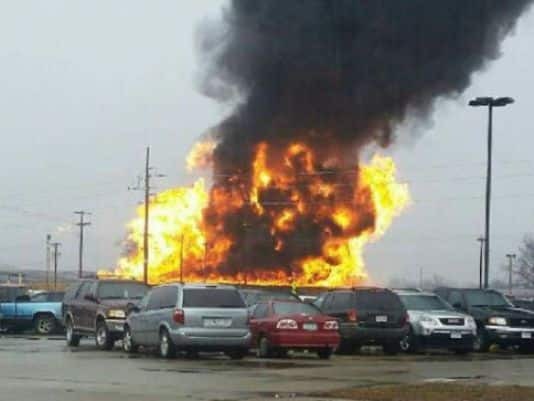 A fire at JBS Swift in Marshalltown, IA, caused $500,000 in damage. There was a gas-led fire at a meat processing plant on Saturday morning in Marshalltown, IA, officials said. The fire occurred at the JBS Swift & Co. around 10:30 a.m. When the crews arrived on the scene they had to put out a large flammable gas-fed fire at the methane collection lagoon. Together with JBS staff, fire crews isolated the plant from the collection system to prevent any gas exposure to the facility. Crews worked on the scene for three hours. Investigators estimate the fire caused $500,000 worth of damages. No workers were displaced as a result of the incident, and the plant is still in operation.